The story is about the same as past months. Not enough Mason Ohio condos on th emarket to support buyer demand, so condos are going under contract quickly and with little negotiating room. Stay with us for the whats, whys and hows of the Mason condo market! 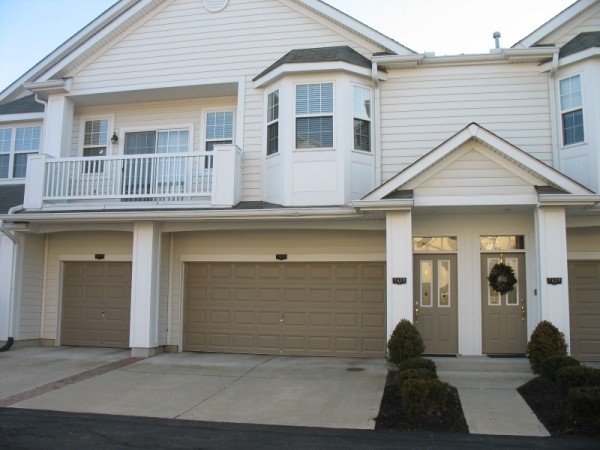 And a bonus at the end, easy to use Search For Mason Ohio Condos For Sale links! And if you want to know How Much Is My Mason Condo Worth?, just click the link, fill out the form and we'll be in touch soon! If you're interested in the Mason Ohio Single Family Home Update for March 2019 just click the link for the details. All data is derived from the Cincinnati MLS system. If any Mason condos traded hands without a REALTOR® involved, then it won't be reflected in this report. All data is for the Mason School District area, so is not limited solely to Mason city limits. Mason offers a full range of price points, with some entry level condos below $100k and luxury/golf course community condos well into the $300k and even $400k price point. So whether you want an economy condo, or the luxury version, we can help you find the right Mason condo for you! A condo in Villas of Hunters Green we sold! In general, you can expect to pay a premium for Mason condos when compared to communities further away from Cincinnati, although there is diminished opportunity for condos as you head away from Cincinnati. So, on to the data! Next is the Mason condo median price summary chart. So what do the stats indicate about Mason Ohio condo sales? The story doesn't change much. Sales are strong CONSIDERING the scarcity of Mason condos for sale. The total condos not under contract is a baker's dozen, and give or take a couple that's been the story for months. Because of the shortage of condos for sale, buyers know to get there quickly when a new condo goes on the market. And that's borne out by the time to contract, with half of all sold condos under contract within 7 days. The majority of the condos continue to sell in the $100-200,000 range, with 7 of the 20 selling for over $200,000 and none sold for less than $100,000. There ARE some new construction opportunities not reflected in the 13 condos for sale, but they're going to cost you over $300,000 or more. Fox Hollow and Beacon Hill offer new construction opportunities if you've got the budget for them. Immediately adjacent to Mason are some other new construction condos if being directly in Mason isn't a concern. Contact us for details Liz@LizSpear.com or 513-520-5305. Patio homes and condos are a specialty of ours. Distressed condos (foreclosures and short sales) for sale continue to be nonexistent. None completed sale and none are in the Active condos for sale. So what does this mean to you as a Mason Ohio condo owner? STILL NO CHANGE. The continued shortage of condos for sale works to the sellers' advantage, especially in the more affordable price ranges and the ranch condos have higher demand. Sub $100k condos that are not updated might take longer to sell. We have a solid track record for selling Mason condos, so we'd love to help you achieve your real estate goal of selling your Mason condo. Mason condos will remain in demand because they're an affordable entry point into Mason living versus the average Mason single family home selling well into the $300ks. The only niche that is a bit slower are the luxury Mason condos, as that segment is competing against new construction. For an evaluation of your condo's marketability, please contact us at 513-520-5305. So what does this mean to you as a potential Mason condo buyer? NO CHANGE HERE EITHER. The good condos are selling quickly and with limited selection you need to look at new entries on the market quickly. It won't take long to determine if there's a Mason condo that will work for you. However, new construction is still a possibility and not all of them make it into MLS (and they're not cheap either). We can help with those too, even if they're not in Cincinnati MLS. We represent YOU and not the builder, and it costs you nothing extra to hire us to help you! If you HAVE to have a Mason home, but don't like the pricing premium for a regular single family home, Mason condos make a great alternative (but don't forget to factor in the HOA fees). Use our links below to check availability for your price range. And if you need an FHA loan to finance, quite a few of the condo communities are NOT eligible for FHA certification. Check with us to verify the condo that interests you can be FHA financed. The same applies for VA financing. Check the search links below to view Mason condos currently for sale (the results include ACTIVE and PENDING, so look under the left photo in the results to distinguish). If you're interested in buying a Mason condo, please contact us 513-520-5305 with your needs and we'll help you find the right Mason community for you! Bill: Good preview of the Mason OH condo real estate market. With so few available, it makes perfect sense for consumers to call you and get their Mason condo listed and sold.